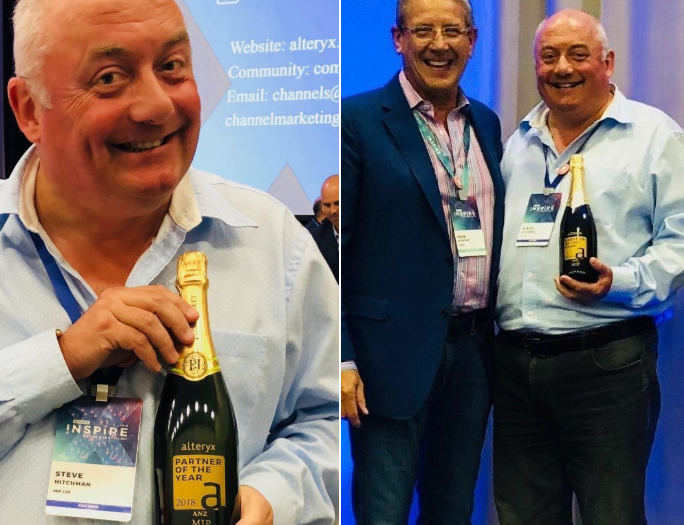 MIP has been awarded Partner of the Year at Alteryx’s global user conference, Inspire 2018, for the 5th consecutive year. Steve Hitchman, MIP CEO and Founder was present to accept the award in front of an audience of over 1,000 people. “It’s a fantastic testament to the strength and skill of partnership between both organisations” said a very proud Hitchman. “This award is recognition of the great work the MIP team delivers to our clients across the ANZ region. We will continue to work hard for our clients and look forward to making it 6 in a row”. Through an array of support services, including training and enablement, workflow and model development, and best practice sharing, MIP delivers game-changing business outcomes for their customers. For more information call MIP on 1800 737 126. Next Post The Data School Down Under launches in Sydney! Proudly powered by MIP.